The Main Walk stretches east-west from the iconic Fountain to Trumpington Road. 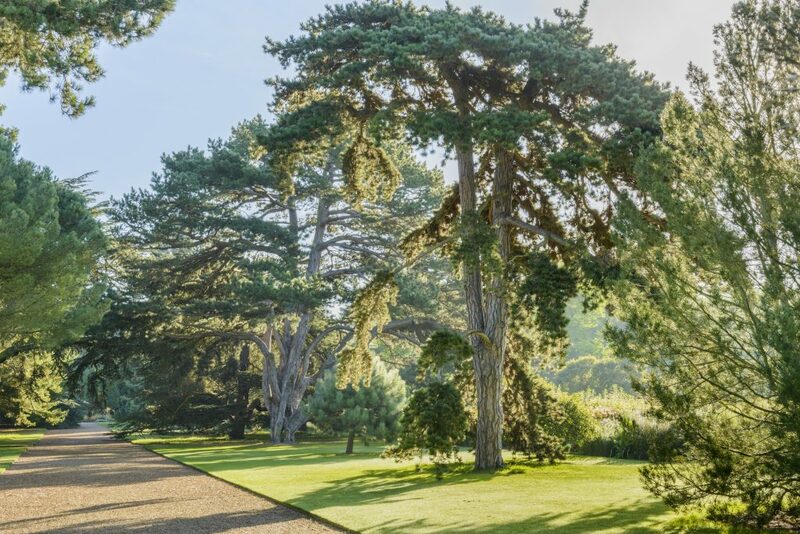 Conceived to bisect the original half of the Botanic Garden that was designed and laid out in the 1840s, the wide gravel path is flanked by majestic, coniferous trees, some of which are amongst the most important trees in the collection. 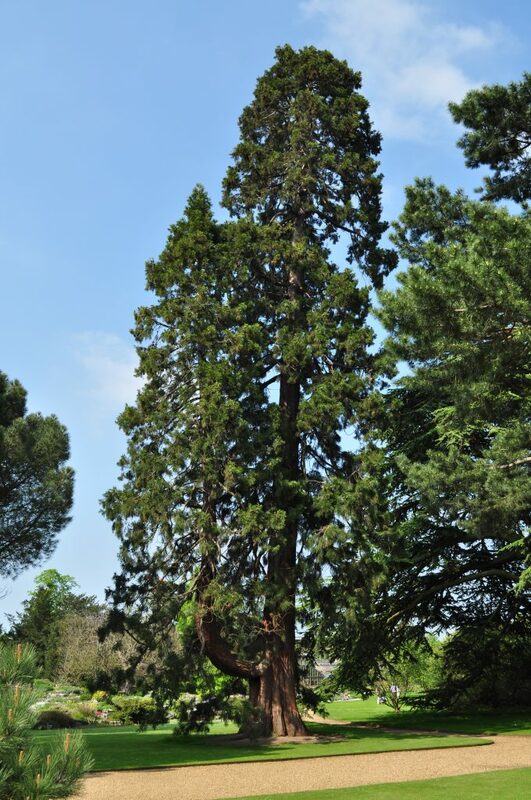 The four mature specimens of Sequoiadendron giganteum (giant redwood) growing along the Main Walk date from 1855, and were grown from the first seed of this species ever brought to England. The seeds were collected by William Lobb in the redwood groves of Calaveras County, California in 1851, and were grown and distributed by the nurseryman James Veitch and Son of London. Other notable trees lining the Main Walk include three species of cedar – Cedrus libani from Lebanon, C. atlantica from Morocco, and C. deodara from the Himalayas. 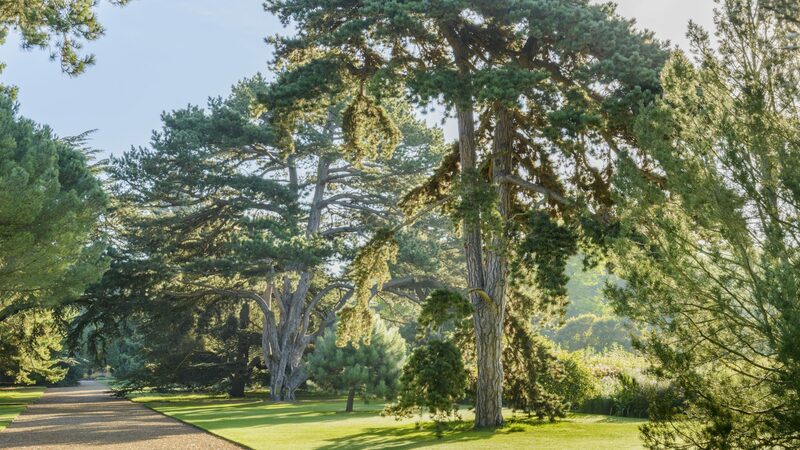 The remaining species of Cedar – Cedrus brevifolia from Cyprus – grows in the belt of trees on the eastern border of the Main Lawn. The collection of subspecies of Pinus nigra (the Black or Austrian Pine) demonstrate the variation within one species, and were put together by Professor Henslow. The most extreme differences are shown by P. nigra ssp. nigra and P. nigra ssp. salzmannii, placed opposite one another. P. nigra ssp. nigra from Austria is a narrow upright tree with few branches and dense bunches of short stiff needles while P. nigra ssp. salzmannii from Spain is a huge spreading tree branching from near the base and with an open canopy of long needles. It was during his time as a student of Henslow that the significance of variation came to Darwin, and these trees remain to illustrate this remarkable history. 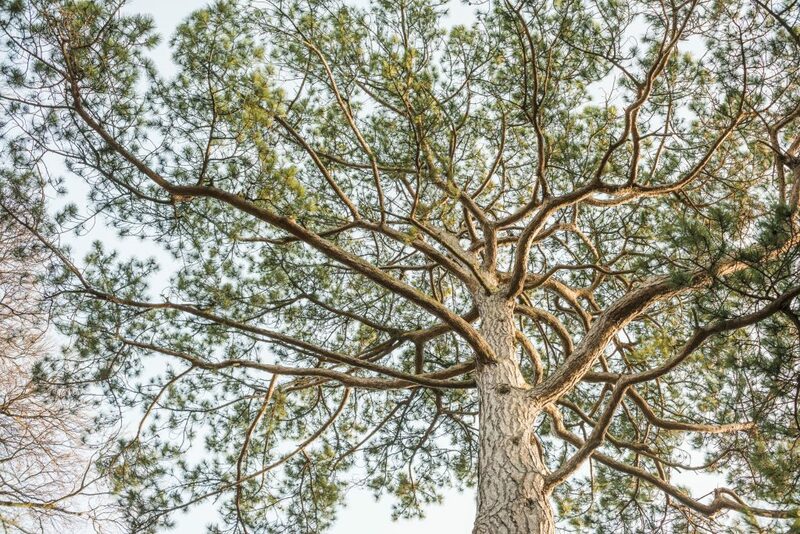 Other pines are also included in the plantings here, such as a fine specimen of the umbrella or stone pine, Pinus pinea and Pinus wallichiana (Bhutan pine). Young specimens of Pinus coulteri (widowmaker pine), P. nigra ssp. salzmannii and P. nigra ssp. nigra have been inter-planted along the avenue to ensure a succession of trees. 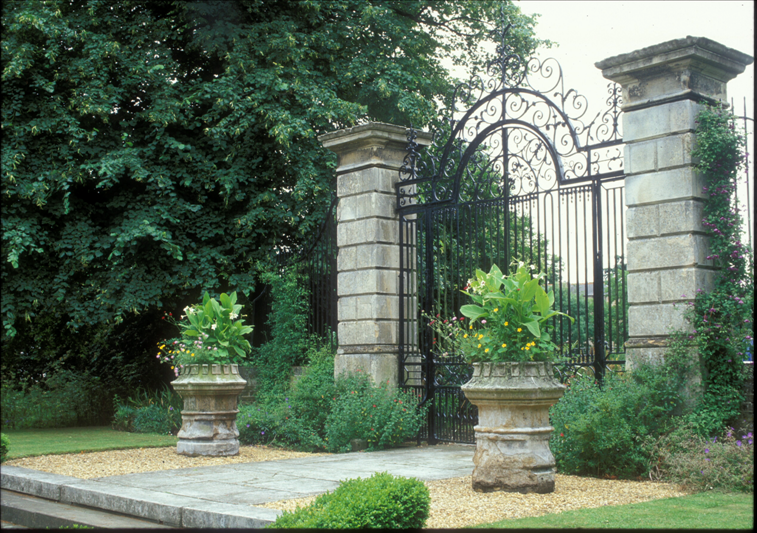 The gates at the western end of the Main Walk date from the late 18th century and were the formal entrance to the old Botanic Garden off Downing Street in the centre of the city. They were reconstructed here in 1909.